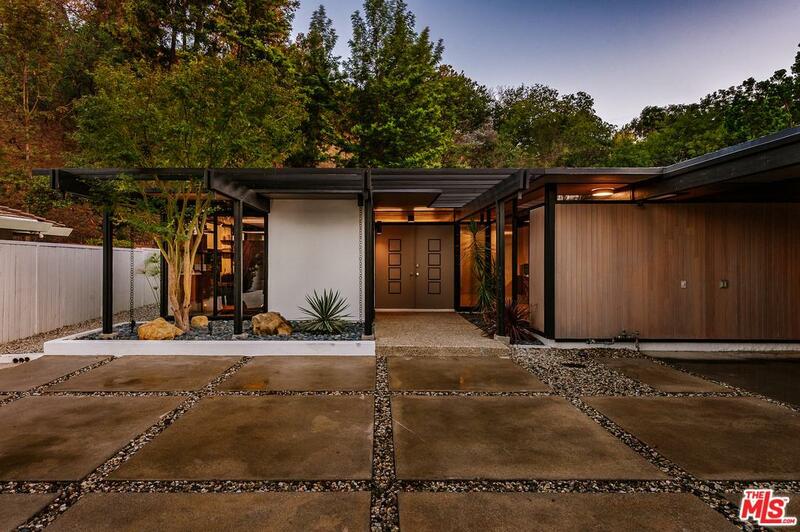 1959 Post and Beam by renowned architect Richard Dorman. 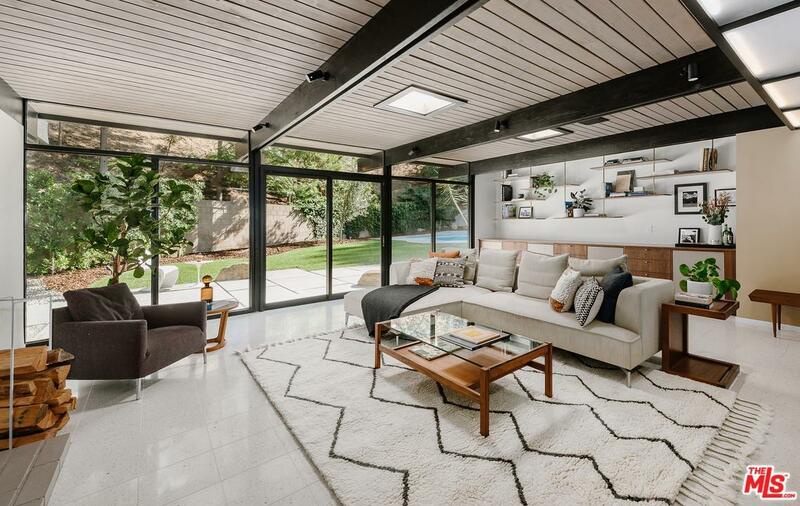 This Modern Mid-Century Classic off of Mulholland Drive has been restored and updated while staying true to its original form. 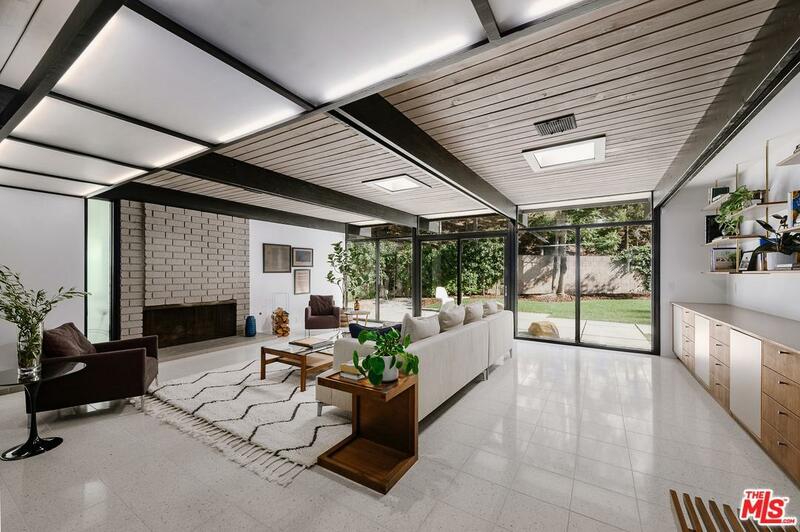 From assistant Chief Designer at Welton Becket and Associates to starting his own firm, Dorman perfected his skills and was ultimately named by the City of Beverly Hills as one of its "Master Architects". 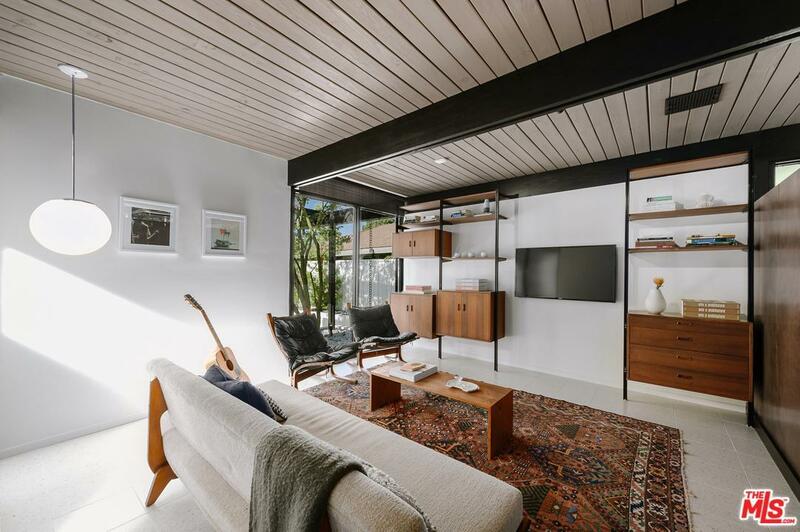 His modern craftsmanship is evident in this exemplary architecture on Scadlock Lane. This home features walls of glass in every room, tongue-and-groove ceilings and an open-floor living room leading out a large glistening free form shaped pool. Sleek walnut cabinetry, Viking & Sub Zero appliances and a wine refrigerator outfit the kitchen. Whether lounging poolside taking in the sun or relaxing with a glass of wine by the fireplace, the comfort and elegance of this artful home won't go unnoticed. Sold by Joshua Myler BRE#01496206 of The Agency. Listing provided courtesy of Brian K. Courville DRE#01496206 of Compass and Jb An Fung CA DRE# 01332492 of Compass.